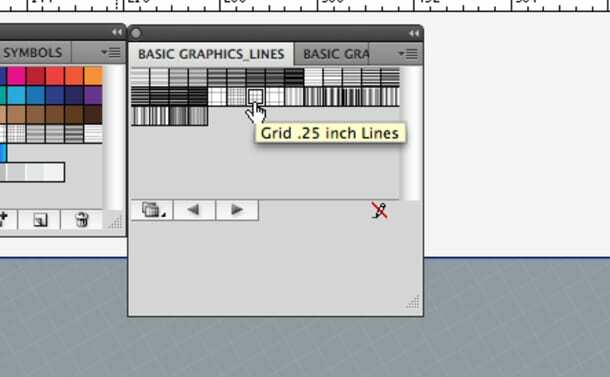 Open the swatch library > Patterns > Basic Graphics > Basic Graphics_Lines and choose Grid .25 inch swatch. Set the rectangle with the pattern swatch to a screen blend mode in your transparency panel. 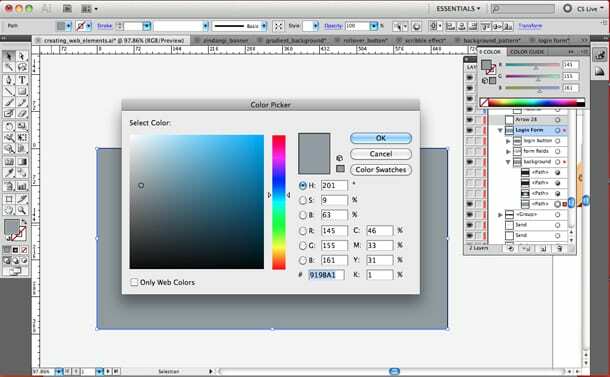 Fill the copy with a Black–White radial gradient in your swatches panel and give it a screen blend mode in your transparency panel. 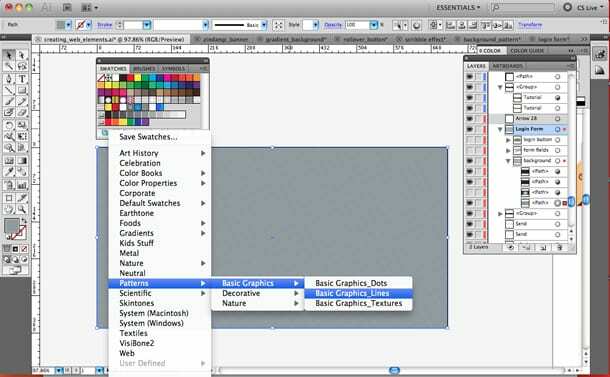 Bring down the opacity to 45%–50% or to your liking. 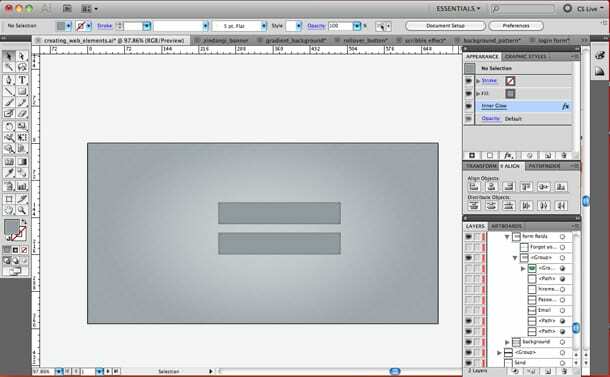 Create a rectangle 260px width x 40px height. Copy the rectangle below by selecting the first rectangle (selection arrow) and holding the option+dragging below the original shape. Type the words: “email”, “password” and an example email in the first field ie: youremail@hostname.com). 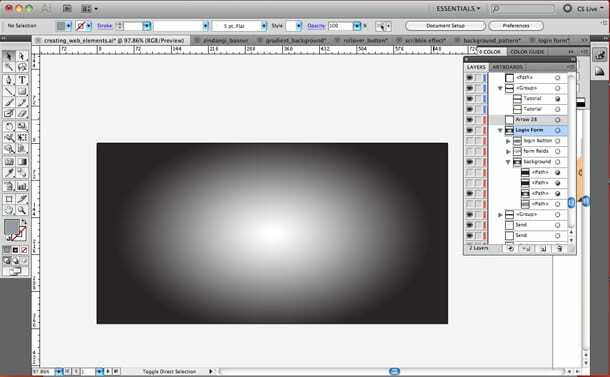 Create a circle using the elipse tool which is 10px x 10px. 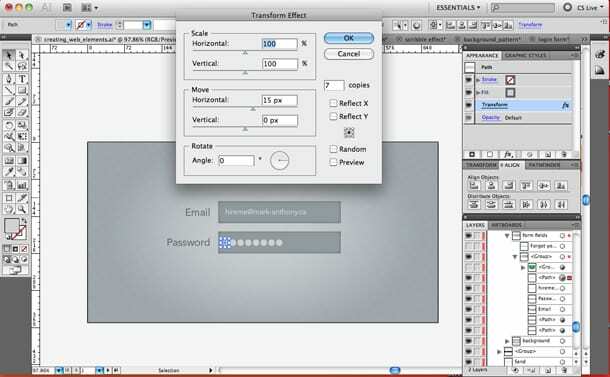 Select the circle and go to Effects > Distort & Transform > Transform and type 7 copies and move them horizontally 15px apart. Create a rectangle 80px x 30px. 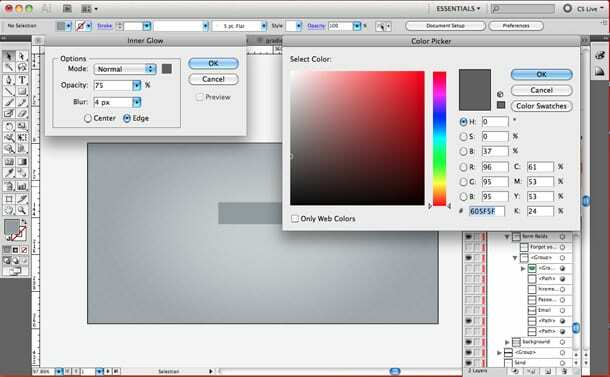 Fill it with a subtle gray to tint of gray gradient. Add a rounded corner effect: Effect > Stylize > Rounded Corners and set the radius to 10px. 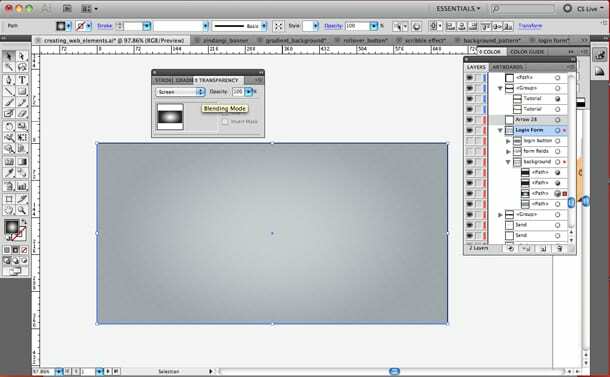 Select the rectangle and create an offset path of 2 px. 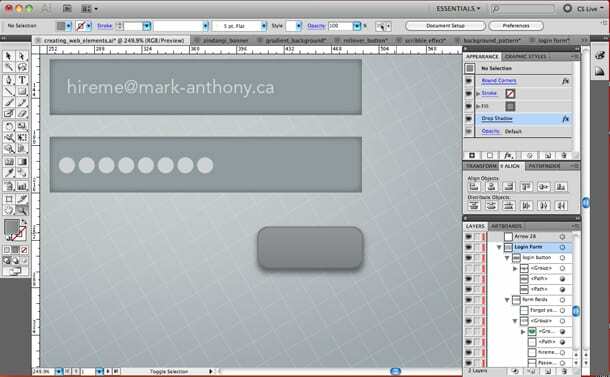 Apply a subtle drop shadow to the offset path. 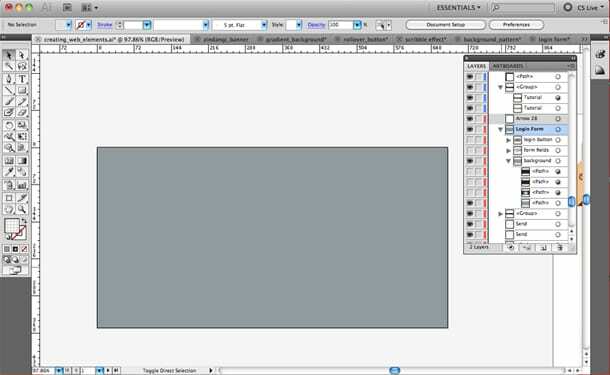 Fill the offset path with the same gradient but this time flip the direction of the gradient on its opposite side. Type the word “Login” and fill it with a dark gray. Copy it and paste in back. 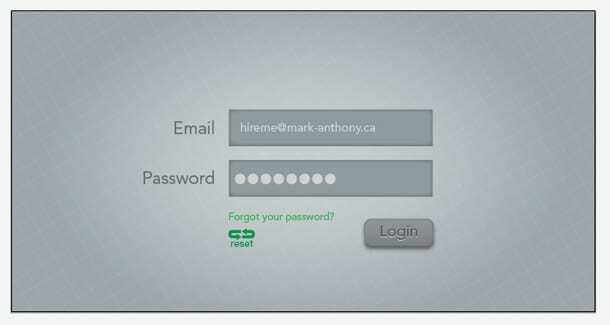 Fill the copy with a lighter shade of gray and nudge it down 1–2 increments using your arrow down arrow key.